SAJF provides hundreds of service hours to non-profit organizations throughout San Antonio. Our projects are scheduled on various days of the week and various time schedules. In doing so, members have the opportunity to choose from a variety of projects that will work in their personal schedules. The projects listed below briefly describe the service provided to the non-profit organization. These organizations listed are those SAJF is currently serving or has served in the past. Adult Matters Spring Formal - Hosted by the Down’s Syndrome Association, SAJF members will assist in decorations set-up/tear-down, registration, and chaperoning. Members should wear business/dress attire. 4 hours service credit. The Arc of San Antonio - SAJF hosts 30 – 50 clients with developmental disabilities. The service captain decides the type of event to have. Past activities include, Movie Nights, Bingo Bash, Halloween Dance and Costume Contest. There is one project in the Fall and a second in the Spring. 4 hours service credit. Battered Women’s Shelter – SAJF work to clean and redecorate one of the residential apartments for a family in transition from the shelter to an apartment. There is one work day in the Fall and a second in the Spring. Both will take place on a Saturday. 6 hours service credit. The Children’s Bereavement Center of South Texas - SAJF will sponsor, prepare, and serve dinner to families attending grief counseling. Tasks include set-up, serving the meal, and clean up. This project will occur a minimum of one time during the club year, but may be scheduled up to three times if the schedule allows. 3 hours service credit. 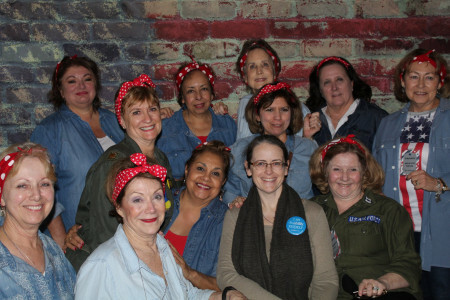 Bunco Night at Morningside Manor – SAJF hosts Bunco night for residents on the second Monday evening of each month. 3 hours service credit. 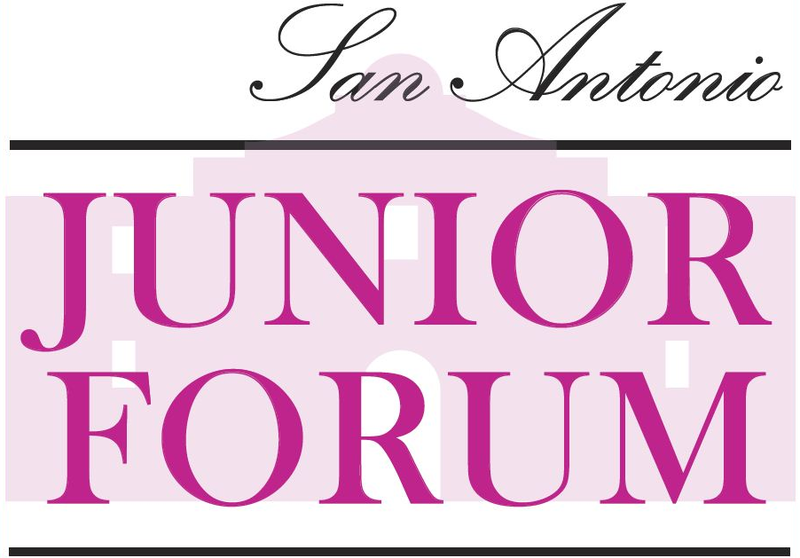 Celebration of Life Brunch – SAJF will sponsor, prepare, and serve brunch for Breast Cancer survivors. This event occurs in the Fall. 4 hours service credit. Communities in Schools - SAJF will support CIS’ “Stuff the Bus” program by manning a table at a location determined by CIS. Members will solicit donations of school supplies for at-risk students from customers. This event occurs in the Summer. 3 hours service credit. The Epilepsy Foundation Central & South Texas – SAJF will assist EFCST at their Seize the Moment 5K walk in November where there is need. A second project may be added to assist EFCST at their food booth at the King William Fair during Fiesta. 3 hours service credit. Fiesta Arts Fair – SAJF will provide assistance for the Fiesta Arts Fair held the first weekend (both Saturday and Sunday) of Fiesta. Positions include helping children in the art area, selling tickets, money runner, assisting artists, etc. 3 hours service credit. Food Bank – Community Kitchen Haven For Hope - SAJF will assist with the preparation of breakfast, lunch and dinner meals. Duties include kitchen clean up. This project will occur a minimum of one time during the club year, but may be scheduled up to three times if the schedule allows. 4 hours service credit. Lui – Special Needs Family – SAJF members will volunteer to help Lui, a special needs young man, at his home. Members will read to Lui or help in other ways. Help is needed on a weekly basis and at hours set by the member. Joanie Gerber will help members understand what to do while visiting Lui. Minimum of 2 hours of service credit hours per week. Operation Homefront Texas: Care Packages – SAJF sponsors and prepares care packages for our military serving in Afghanistan. This project occurs at a general meeting in the Fall. 2 hours service credit. Operation HomeFront Texas: Holly Jolly – SAJF will support Operation Homefront Texas by providing staffing at their Holly Jolly event in December. 4 hours service credit. Ronald McDonald House - SAJF will sponsor, prepare, and serve dinner to families attending grief counseling. Tasks include set-up, serving the meal, and clean up. This project will occur a minimum of one time during the club year, but may be scheduled up to three times if the schedule allows. 3 hours service credit. Relay For Life - The event honors cancer survivors and those that did not survive. Relay is sponsored by the American Cancer Society. SAJF members will sign up and participate as an organization to raise funds and awareness for this worthy cause. This project occurs in the Spring. 13 hours of service credit. Spina Bifida FashionAble – The event is a fashion design competition among high school students. The clients are children and young adults with special needs and whose clothes must be altered. SAJF will participate over the course of two days in various aspects of the event, including judging the designs, hair and make-up for the models, and other areas where needed. This project occurs in the Spring. 5 hours of service credit per day.